The Center for Data Innovation is a non-profit research institute affiliated with the Information Technology and Innovation Foundation. It is headed by Daniel Castro (“top 25 most influential people under 40 in government and tech” acc to FedScoop). I like their Reports and Visialization sections. They publish a a free weekly newsletter with news on data and data sicne, posts, events and showcase great data visualizations and interesting data sets ofr the past week. Content: news, articles, interviews, data sets, data visualizations, reports and books. Data Science Central (DSC) is a thriving community of data scientists and data / big data experts and practitioners. There is a weekly digest newsletter curated by Dr. Vincent Granville with what’s new and hot from the DSC website. Content: Data Science ebooks, questions, forums, data sets, access tomember-only pages, Data Science Certification, training material related to their data science apprenticeship, and more. A lot of information about Big Data. 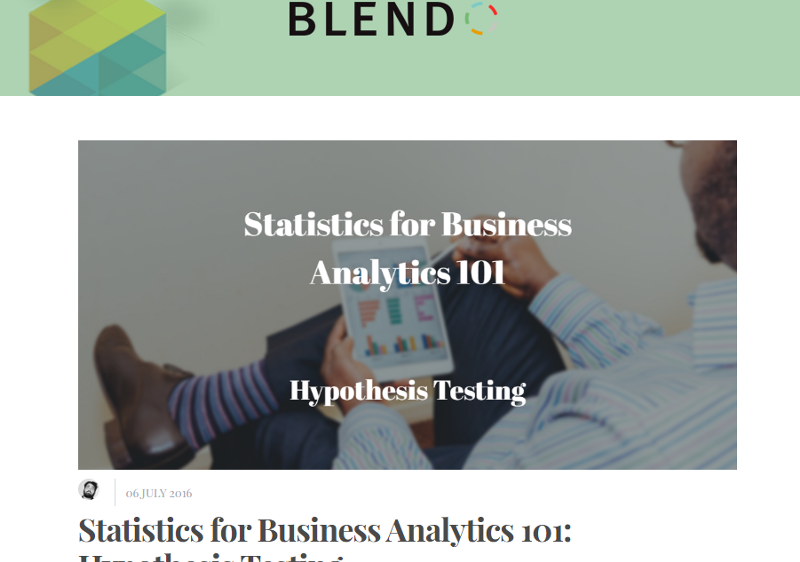 You may find intersting blog posts, books, job offers, tools, search tool for data related companies (like Blendo) and professionals. Content: blog posts, books, job offers, tools, search tool for data related companies (like Blendo), professionals and more. Every Thurday you get a list of cherry picked data science post, videos, jobs, books, training and more. It is also interesting to read the Data Scientist Interview part of their website. Content: data science post, videos, jobs, books, training and more. It is run by Rich Brueckner and Daniel Gutierrez it covers the latest Big Data updates in the market. Rich was recently named as one of the Top 20 Big Data Influencers by Forbes. Content: news, strategies, products and services in the world of Big Data Analytics for data scientist, IT and business professionals. One of the best resources outhere and my favorite along with DSC. If you are into Data and Data Science then you should know KDnuggets, if not go there now. KDnuggets is managed by Gregory Piatetsky-Shapiro, one of the leaders in the field. The newsletter comes out 3–4 times per month. New York University has one of the best Data Science teams and research departments. They curate a weekly newsletter about academics, research and industry. O’Reilly is the one stop shop in anything from software engineering to data. Their newletter you can find a hug amount of information about data and big data along with many events, opinions and offers. This is not a newsletter but I always have it as a reference. The Data Science topic in Quora has a pretty active community answering questions and having discussions on various Data Science topics. Confluent was founded by the team that built Kafka. Their blog is more technical and Kafka oriented but if you are into it then register to it. When we started working on our blog we wanted to write stuff that will help the data analyst, data scientist or anyone with the “data” hat to work better with his company data.